Welcome on our Page ! 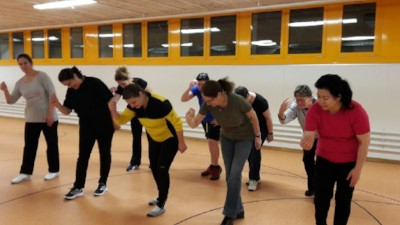 As part of our Gymnastics Club Fit + Spass, Dietikon, we meet, once a week, for dancing and practice. To have Fun is our aim ! As we are not a Dance School as such and do not offer Dancing lessons in the usual sense. 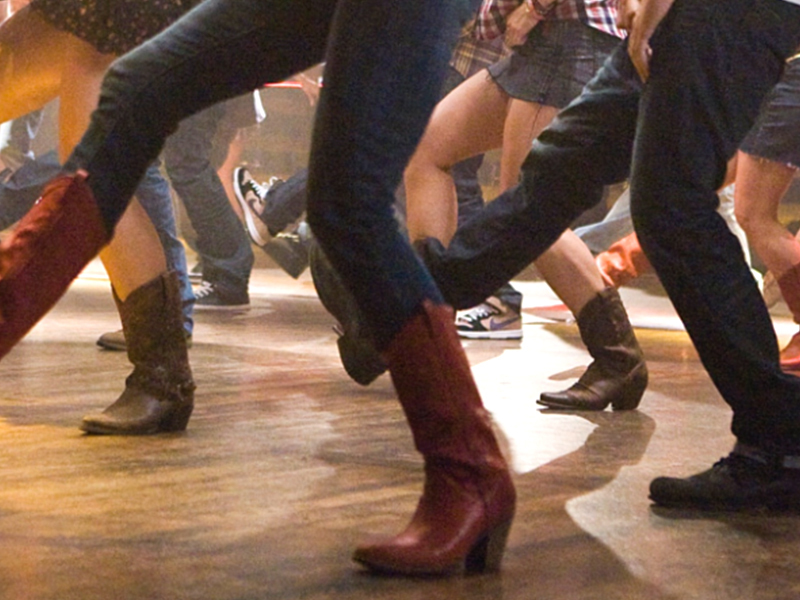 But, what exactly is Linedance ? - Linedance means, dancing in a group but still on your own. - Dancers stand in rows, side by side and behind each other, and dance as synchronicaly and equispaced as possible. 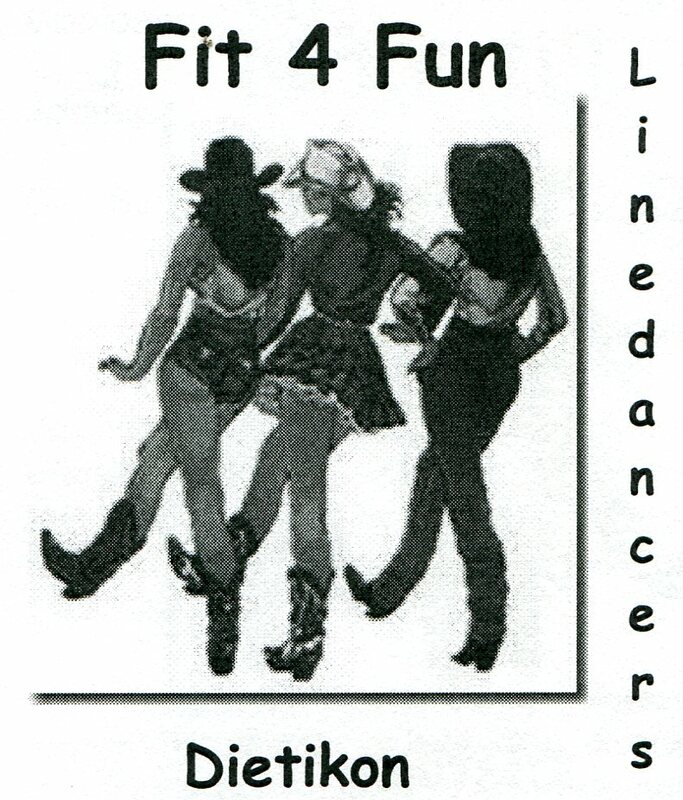 - Linedance works with whatever music, very well liked though, are country- and westernsongs. - There is a choreography for nearly every song, with accurately defined step sequences and combinations, various lengths and different levels of difficulty. - That means, of course, that not only your legs are in constant motion, but, becauce you need to remember those step sequences and so as not to get disoriented while swivelling, your memory is also tested. 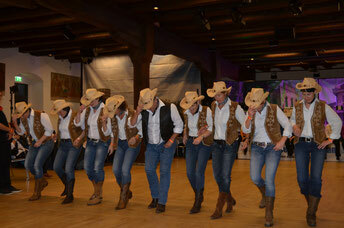 - So, Linedance is not only physical fitness but also brainwork, and therefore perfect for our mental health. - Suitable for everybody, no matter what age. - With a certain love of music and motion, as well as the needed concentration, those choreographies are easily manageable.